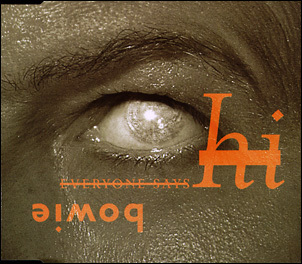 CD3 Everyone Says 'Hi' (Radio Edit)/Baby Loves That Way (Album Version)/You've Got A Habit Of Leaving (Album Version). 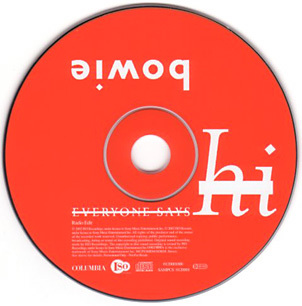 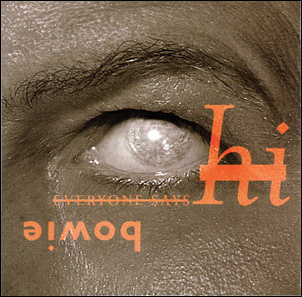 Everyone Says 'Hi' (Radio Edit). 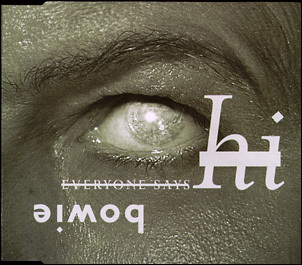 Promo in artwork identical to CD1. 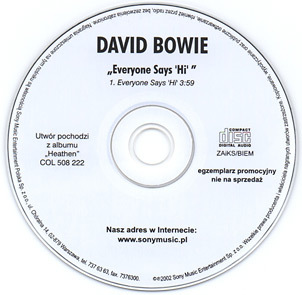 Everyone Says 'Hi' (Radio Edit)/Safe/Baby Loves That Way/Sunday (Tony Visconti Mix). Everyone Says 'Hi' (Radio Edit)/Safe.